Published: 2013-07-03, by Ana Gracia. "More than 100 games in just one app"
101-in-1 Games! 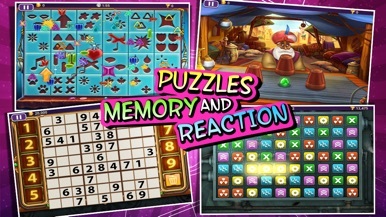 is a collection of more than a hundred games in an iOS application. As you play the games, you keep earning points that can be used to unlock other games. These points can be earned for free or can also be purchased, depending on your time and desire to keep playing immediately. The games present a minimum score you require in order to complete the game and earn the points. NORDCURRENT is the developer of 101-in-1 Games !, available in several languages like English, French, German, Italian, Spanish and others. 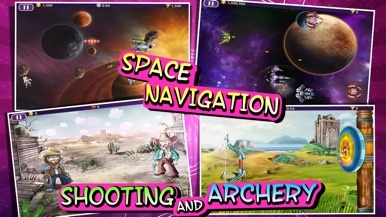 This is a great app for those who don't have much space in their devices but like to try out a lot of different games. 109 games for all tastes in one pack! 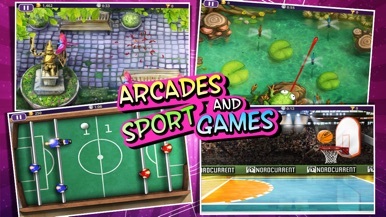 This game is a collection of 109 games in 1 app in full HD quality! Join more than 20 million players around the world that are enjoying this game. 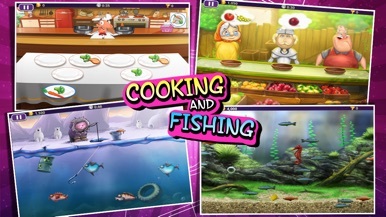 This is a completely reworked version of the game adapted to iPad, and it includes games in huge variety of genres: puzzle games, fast paced arcade action, racing, sports, cooking, shooting, sudoku and many many more! We now offer multiplayer games on single device, high-score tables, achievements and lots of other cool features! Choose your favorite games and earn lots of points. 101-in-1 Games! 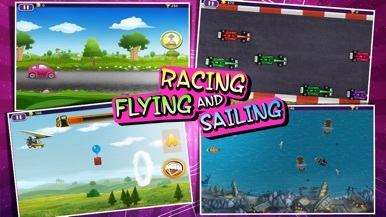 is a collection of more than a hundred games in an iOS application. As you play the games, you keep earning points that can be used to unlock other games. These points can be earned for free or can also be purchased, depending on your time and desire to keep playing immediately. Th….